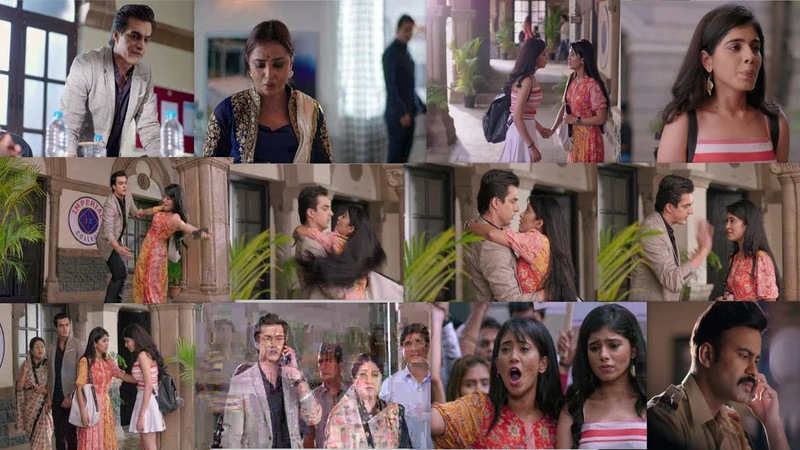 Home Yeh Rishta Kya kahlata Hai Yeh Rishta Kya Kahlata Hai 20th June 2018 Episode Written Update "Kaira's Moment Naira Fights For Justice"
Yeh Rishta Kya Kahlata Hai 20th June 2018 Episode Written Update "Kaira's Moment Naira Fights For Justice"
episode starts with Kartik meets the college authorities and tells them that they have to take strict action against the culprit. Dadi and Dean worry for the family and college reputation, and ask Kartik to think well. Kartik tells them that the girl’s respect comes first, and its agenda is to just get justice for Tanvi. Manish’s friend informs him that Naksh has pulled off the project because of financial problems. Suwarna calls Dadi and hears Kartik’s voice. She wonders if Dadi is in Mumbai with Kartik. Manish doesn’t let her know anything about Dadi. Tanvi begs Naira to help her and save her from defamation. Kirti tells Manish that she wants to gift something to kids. Manish asks her not to take stress. He informs her that Dadi has gone to Mumbai, she may bring Kartik and Naira together. Devyaani gets upset on knowing this. She feels they will trouble Naira once again. She wonders why are Goenkas not leaving Naira. Kirti doesn’t want to lose hope. Kartik holds Naira when she stumbles. They have a moment, followed by an argument. They end up hurting each other’s heart by the taunts. He asks her to address him with respect as he is the college trustee. She reminds him that she isn’t Naira Goenka now. Tanvi worries for the video spreading. Naira doesn’t know what will Goenkas decide. Tanvi is called by the board of trustees. Kartik tells her that he will stand for her respect, as she is not at fault. He asks her if she doubts on anyone specifically. Tanvi denies to know anything. Kartik assures her that he will not let the MMS get viral. Dadi asks Tanvi not to cry, as this happened because of her mistake. She tells her that she regrets that girls bear the torments in the society. She asks Tanvi to wear proper clothes, since she has to obey the standards of the society, everything matters, even the proper clothes. Kartik asks Tanvi not to tell anyone about their conversation. Tanvi’s heart breaks by Dadi’s fault. She tells Naira that trustee has blamed her for the MMS. Naira misunderstands Kartik. Tanvi tells Naira that they won’t do anything. Tanvi gets into a confrontation with Dadi over being judgmental for her clothes and lifestyle. Dadi assumes Naira has instigated her. Tanvi feels Goenkas value their reputation more than her respect. Manish wishes to ask Akhilesh about Naksh’s problems. Suwarna asks him why did he tell her about Dadi, why did she reach Kartik without informing. He tells Suwarna that he has taken care of everything. He asks her not to worry. Suwarna tells him that she worries for Kartik, since she lost Shubham. She gets panicking. She decides to go Mumbai. Manish tries his best to stop her, but she doesn’t listen. Tanvi asks Kartik is this her fault that she wears short clothes. He asks her to give them some time to resolve the matter. She asks them to take strict action against the wrong doer. Dadi tells Kartik that Naira has supported Tanvi and made her rebel. She regrets that Naira doesn’t understand her now. Dean tells Tanvi that the trustees will decide the course of action. Kartik tries to stop the video from spreading, by removing it from the internet. Naira misunderstands him by overhearing his conversation. Naira decides to fight the justice. She starts a protest against the college authorities to get justice for Tanvi. This shocks the Dean and trustees. 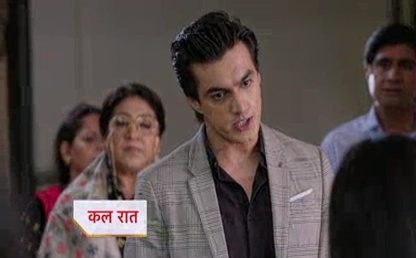 Kartik and Dadi get to see Naira’s protest with the college students. Kartik fails to hide the matter. He wanted to conceal Tanvi’s name. He gets angry on Naira. He feels she has done a mistake by pulling Tanvi’s name in the mess. Naira asks Kartik to find a solution and help Tanvi. She threatens to go on strike so that they find the culprit soon.